For CSKA Moscow center Kyle Hines, returning to Piraeus and playing against his former team Olympiacos Piraeus, who he helped to win back-to-back EuroLeague titles in 2013 and 2014, is always special. So, it was kind of fitting that against Olympiacos in the Peace and Friendship Stadium on Friday, Hines achieved a big and special personal milestone, reaching 200 blocked shots for his career. More than a milestone, Hines played one of the key roles as CSKA ran away in the second half to register a 81-97 victory over Olympiacos. 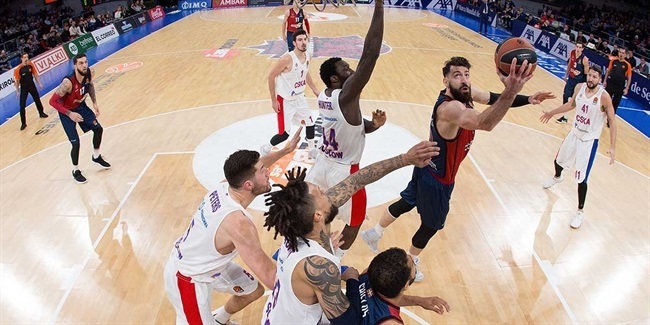 Coupled with Real Madrid falling in Barcelona, the victory cemented CSKA in second place and inched the Russian powerhouse closer to home-court advantage in the playoffs. 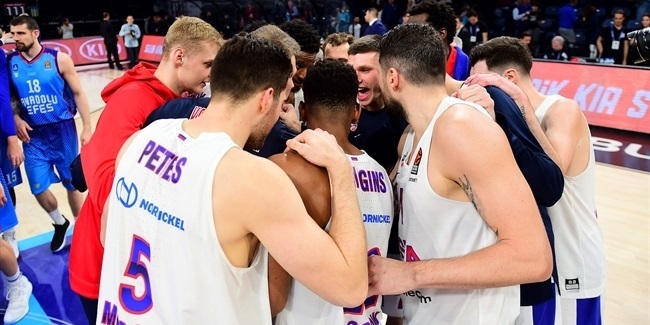 The Olympiacos fans greeted Hines with an ovation when he was introduced in the CSKA lineup before the game, but they could only frown as he became unstoppable in the second half. Hines scored 11 of his 15 points after intermission, making 7 of 8 two-point shots. The first 5 points of those points came in a 1-9 run to end the third quarter with CSKA leading 64-72. He then tacked on 6 more points in the first 4 minutes of the fourth quarter, helping CSKA pull away to an unsurmountable 70-89 margin. Hines also pulled down 5 rebounds in this game, but it was his career-high 4 blocks that stuck out. 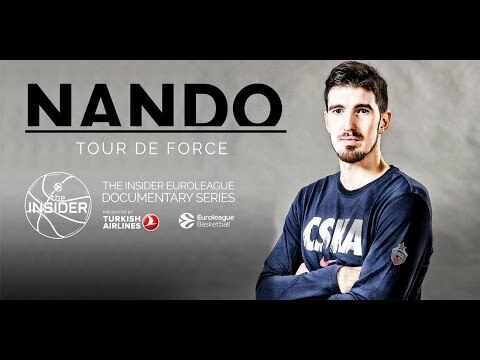 It got his career total to 201 blocks, making him just the fourth player with more than 200, after Fran Vazquez (249), Bryant Dunston (213) and Alex Tyus (207). It is also worth mentioning that CSKA dished 23 assists and had just 4 turnovers in this game. 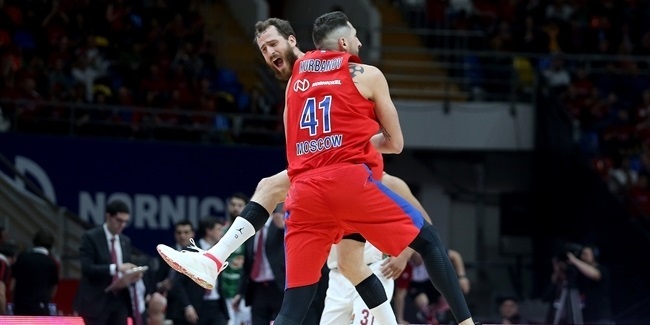 Playing at a high level, CSKA now has won six games in a row, and next week will have a chance to clinch home-court advantage in the playoffs.